“I can say it’s a consumer product tomorrow because I can remove the dev kit thing, [but] the $3,000 thing is going to get in the way of it becoming a mass market consumer product. You have to reduce the price point until it’s affordable to the majority of the populous of Earth, which will be under a $1,000 and then some to get there. Roadmaps for both of those things exist today, but I’m not going to announce or talk about it today,” Kipman added. Whatever comes to market as a consumer product will not be a gimped version of the developer kit, either. Microsoft is hard at work improving HoloLens. Kipman says the most important things are increasing immersion and making the goggles more comfortable. He acknowledges that both goals imply a price increase, but insists he can accomplish both without that happening. That’s because innovation and product maturity work in his favor. 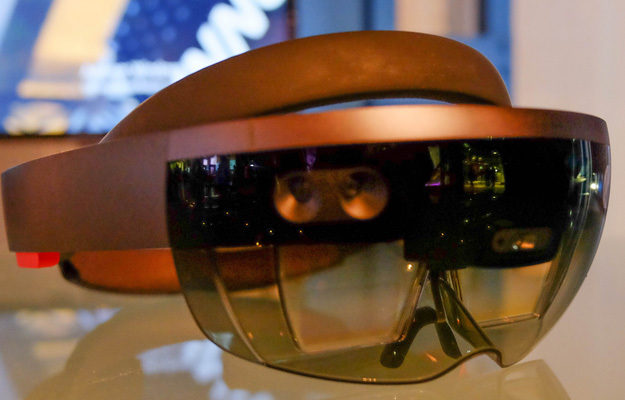 Microsoft Hints At ‘More Realistic, Awesome’ HoloLens With Sub $1,000 Pricing.